Die Suche nach einem gebrauchten LD-FMK4020 ? 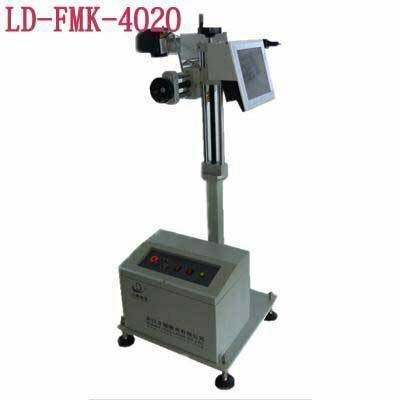 LD-FMK4020 Metal & Nonmetal Flying fiber laser coding machine currently adopted the most advanced fiber-optic lasers and imported spare parts, high precision, fasten speed, stable performance, with the ability to work long continuously. Operating platform is Windows XP of software control system, both Chinese and English interface can be optional, operation is easy to learn. 2. Applicable to be coding on metal or nonmetal products package, batch number and so on. 3. Suitable for large flux packaging of wine, liquor, food, beverages, pharmaceuticals, chemical products and other products online flying coding at fasten speed, with fine, clear efficiency and inverse color. 4. Coding flux is 5000-20000pcs/hour, using time more than 100000 hours without consumable. Mit Blick auf einen neuen Kauf LEAD LASER LD-FMK4020 ?